More stylish alternative to the C5. Impressive interior. Much better from 2015. No Hydractive suspension on the DS model that really should have had it. Very poor ride quality especially on 19-inch wheels, improved from 2015. 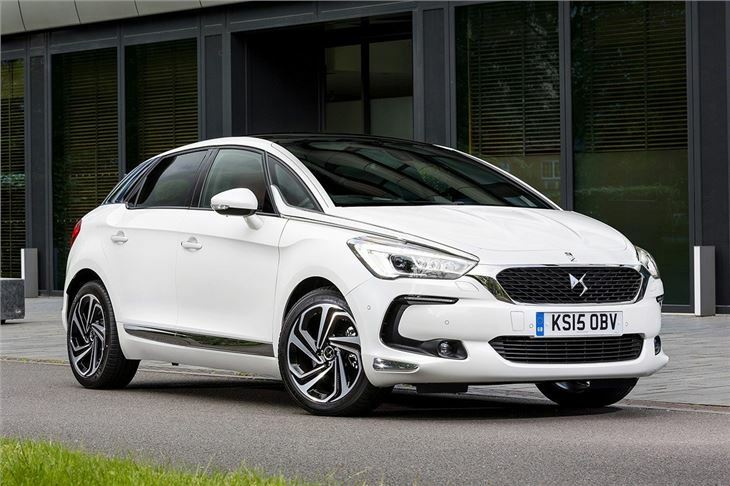 Report of failure of torque converter automatic transmission of DS5 at 40,000 miles. Cost of repair was £3,500. 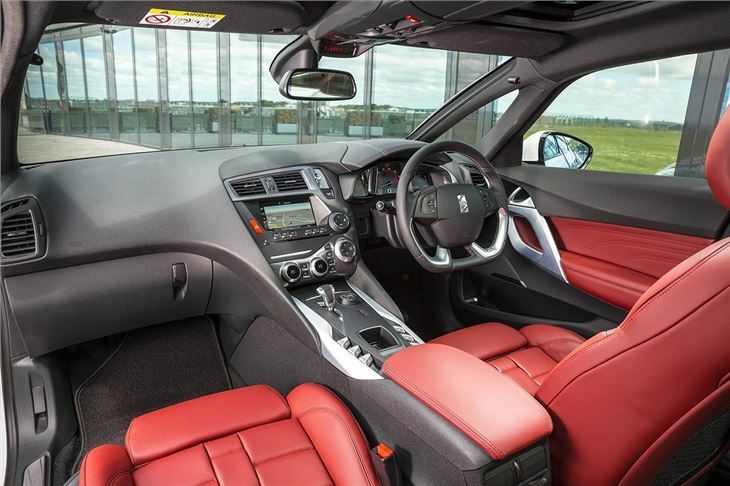 Topping the DS line, the ‘5’ combines hatchback and saloon styling cues to offer a genuine alternative to your usual run-of-the-mill executive car. 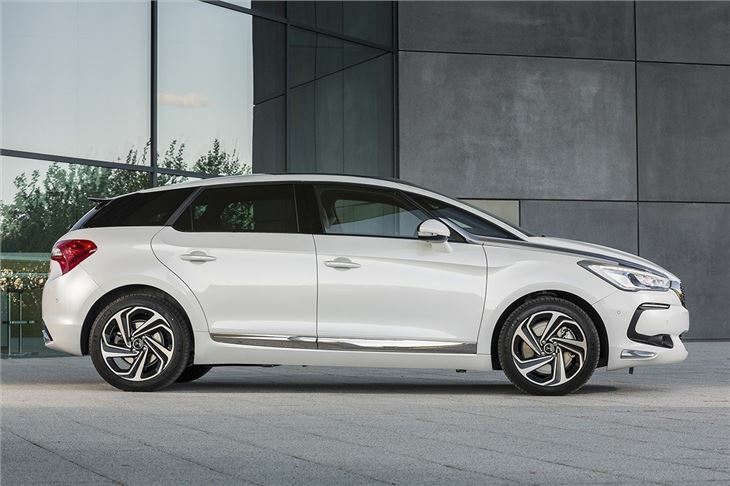 Indeed, the DS5 is tall and imposing, with stylish chrome strips that run up to its profoundly shaped bonnet. The interior is equally as dramatic. Seats on top models are trimmed in watchstrap style leather and there are loads of genuine metal trim details. There are also overhead, aircraft inspired switches, which pair up with a head-up display and a wide steering wheel that feels a little like a flight yoke. It’s really impressive to behold and it’s really easy to settle into comfortably. Practicality is reasonably good too. There’s just about enough room in the rear seats for adults, though they might struggle to comfortably get their feet under the front seats, and the boot is sizeable, though it does have a fairly high load lip. We also take issue with the fact that the boot cannot be opened without pressing a button – on the keyfob or in the cabin - as there’s no external handle. Unfortunately the DS5 has a number of problems. 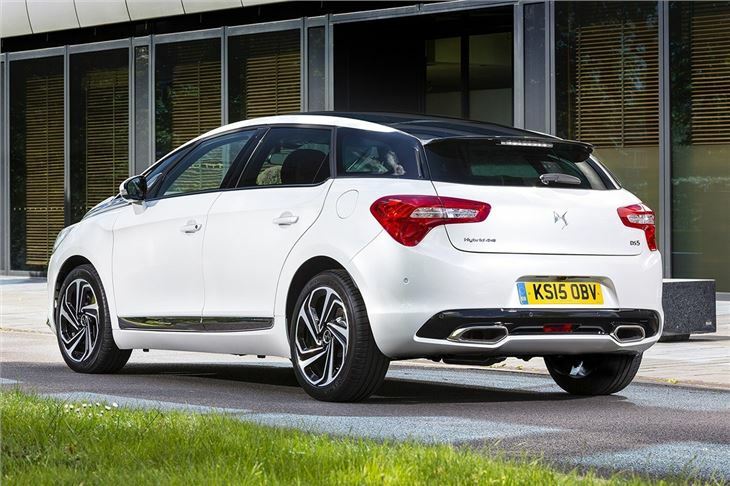 For a start, Citroen’s once famed for ride quality has been replaced with a car that feels fidgety, over firm and poorly dampened. 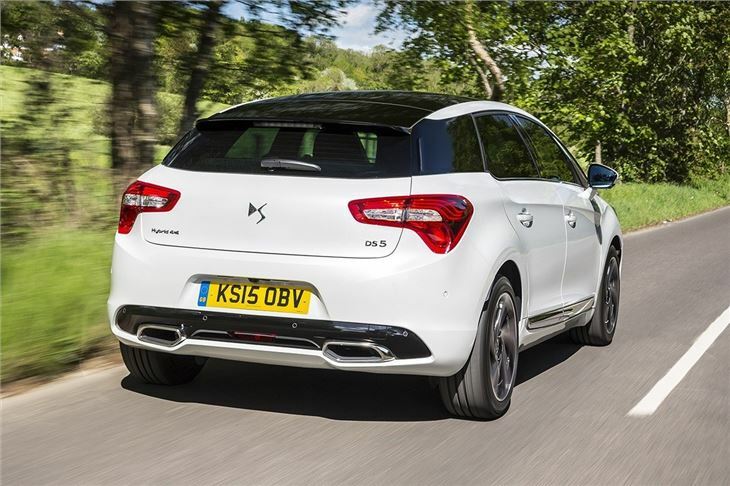 The DS5 also clatters over speed bumps and potholes and follows the camber of the road instead of tracking in a straight line, which means the car gently veers toward the kerb unless you firmly grip the wheel. Unless you only ever drive on the motorway, you’ll probably find it irritating at best and downright unbearable at worst. Admittedly there’s some redemption when it comes to powertrains, which are good on the whole. The pick of the bunch is the 163PS diesel, paired to a six-speed automatic gearbox, which is very refined and effortlessly smooth and rapid. Company car drivers will likely pick the flexible 115PS diesel, though, thanks to lower running costs. There’s also a 200PS diesel hybrid variant, which has an electric motor to power the rear wheels and a diesel engine powering the front . The result is 200PS, with emissions of 88g/km and official economy of 80.7mpg. Buyers who want a petrol model get one choice, a 200PS THP. 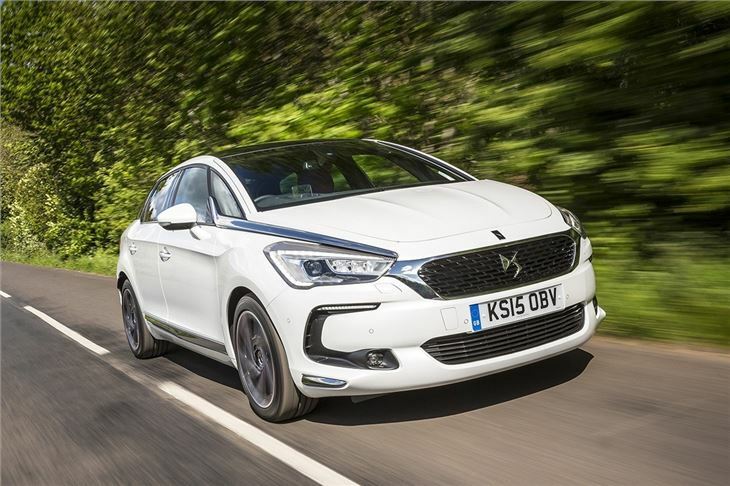 With interesting exterior styling, a great interior and a good selection of engine options, the DS5 gives a very strong first impression and looks like it should be an alternative to the usual German executive car. 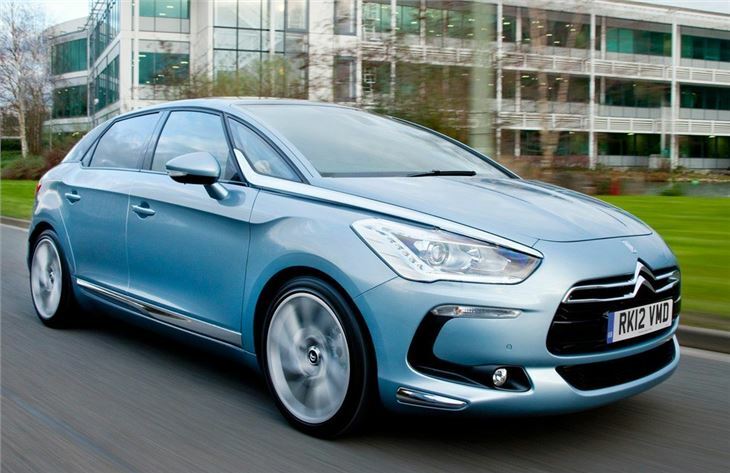 However, due to some poor execution, the big Citroen ultimately falls short of the mark. Head turning looks inside and out! Believe the bad press and keep my car exclusive!